After losing the Ashes for the first time since 1975, England were looking to regain the urn in 1982/83. Australia opted to bat first after winning the toss at Leeds and feasted on some poor bowling on the opening day from England. Soon, the visitors started to take control of the Test match as they reached 200/2. But a collective effort from the English bowlers ensured Australia could only get to 331. Ian Botham played an important part as he kept the run-flow in check and picked up three wickets as well. England’s innings started shakily but a fine 175 from Mark Robinson provided stability. Botham chipped in with a quickfire 51-ball 60 as England posted a huge score of 533. In the second innings, the Durham all-rounder picked up four wickets to help England restrict Australia to 324. England achieved the target of 123 with ease and gained a 1-0 lead. Robinson was awarded the Player of the Match for his 175 and Botham’s stellar show was kept away from the limelight. 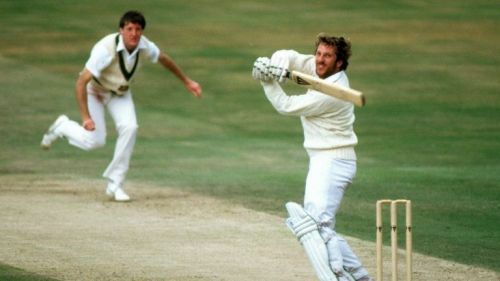 With Emburey’s five-wicket haul in the second innings receiving acclaim, the usually headline-grabbing Botham did not fully get the credit for role in England's victory.